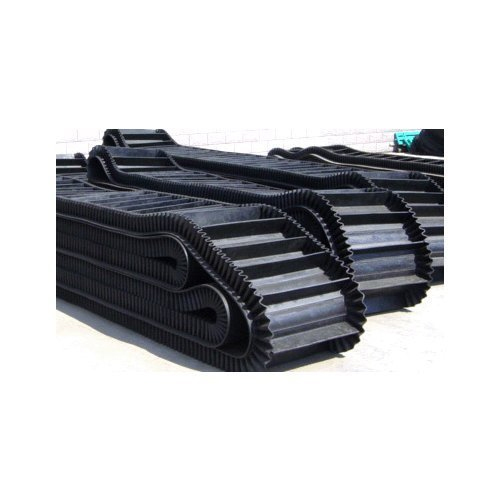 Fabricated Conveyor Belts solutions offered by us comprise a wide range of rubber conveyor belts that can be precision designed as well as manufactured by us in finish specifications as desired by the customers. Here, our expertise also lies in successfully handling the demands of unique applications that calls for the need of tailor made belts. For meeting such needs, our team of experienced industry professionals including design engineers and other production support staff also assist us in creating customized product solutions so as to perfectly fit defined end process requirements. For flawlessly handling the involved production support for meeting the demands of custom fabrication, we have with us available team support of skilled as well as experienced team of engineers and technicians who work on world's best equipment so as to ensure world beating fabricated conveyor belts.